Guns are a big part of this escalation, says Fox, who is the Lipman Family Professor of Criminology, Law, and Public Policy at Northeastern University. He and his co-author, written with Emma Fridel, a Ph.D. student in the School of Criminology and Criminal Justice, observe that even if purchased for self-defense purposes, all too often a gun in the home is used against a loved one. Sometimes this happens in the heat of an argument, other times deliberately to end a relationship “in a way that is speedier and less expensive than divorce,” as the authors put it. Fox credits the Brady Handgun Prevention Act, which among its provisions included prohibiting the gun rights of people who are convicted of domestic assault, as an effective measure in helping to bring down domestic violence rates. 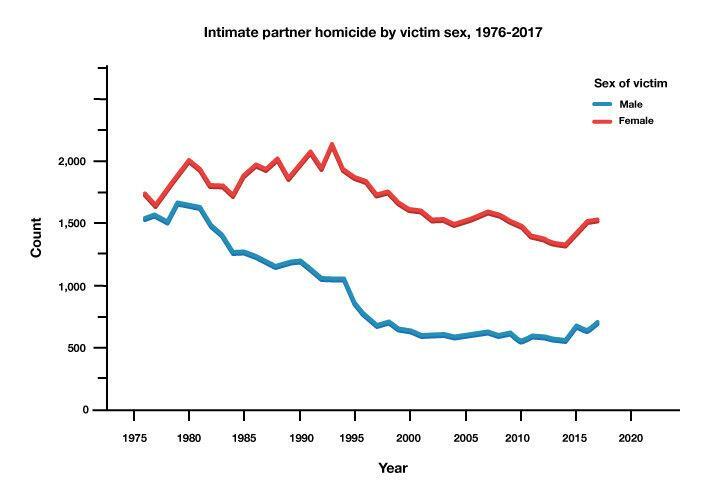 He and Fridel discovered that the incidence of female intimate partner homicide dropped by 56 percent in states with robust gun control policies.